CHICAGO (WLS) -- Mead Johnson announced it is moving its headquarters to downtown Chicago from suburban Glenview. The new headquarters will be in the River Point Tower, now under construction on the west bank of the Chicago River at Lake and Canal. The move will bring 200 more jobs to the city. 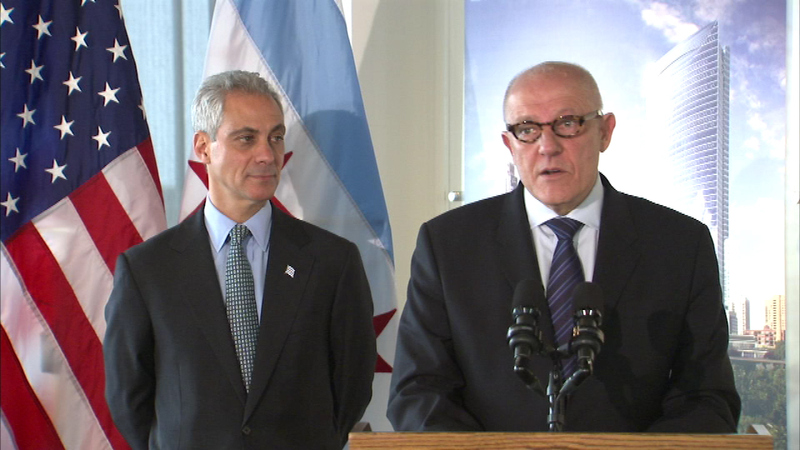 Mayor Rahm Emauel joined company executives making the announcement today. Mead Johnson develops and markets pediatric nutrition products.